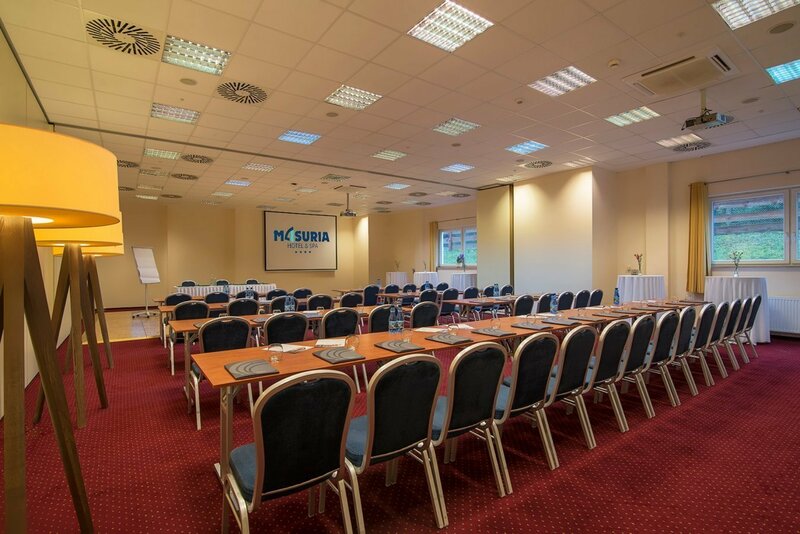 Conferences are held in six modern and air-conditioned rooms with professional equipment and service. 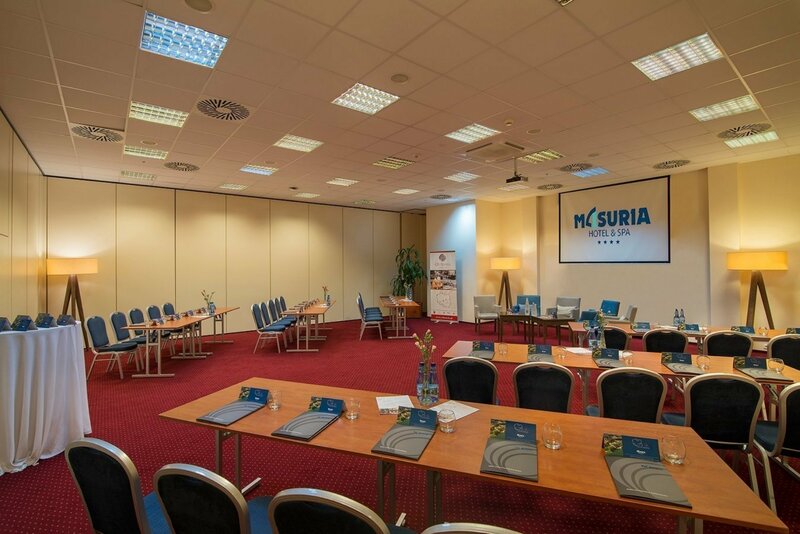 Each room can be arranged according to the client's wishes. 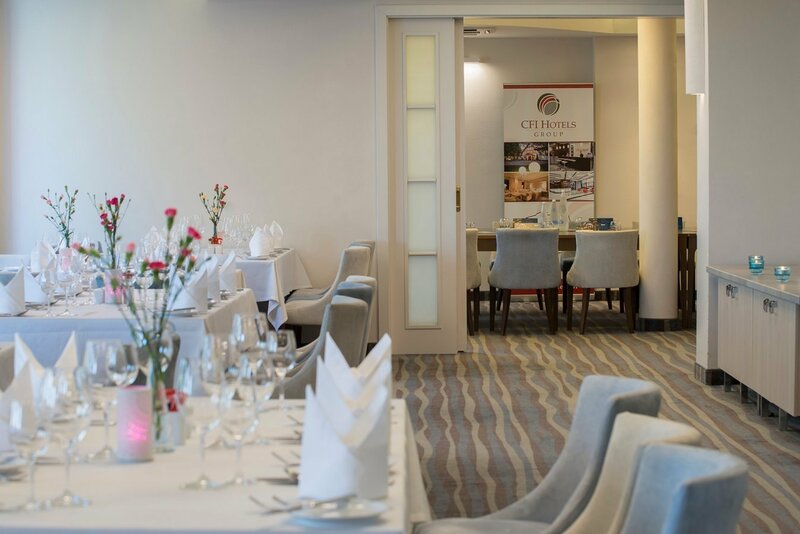 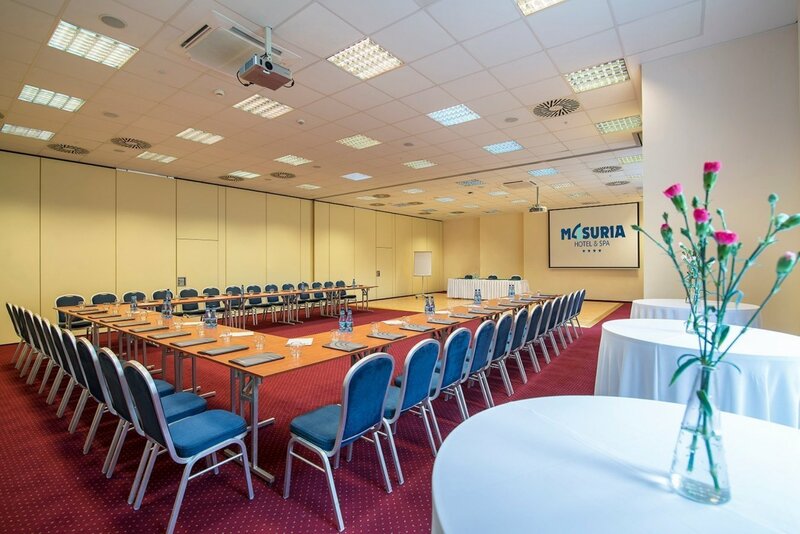 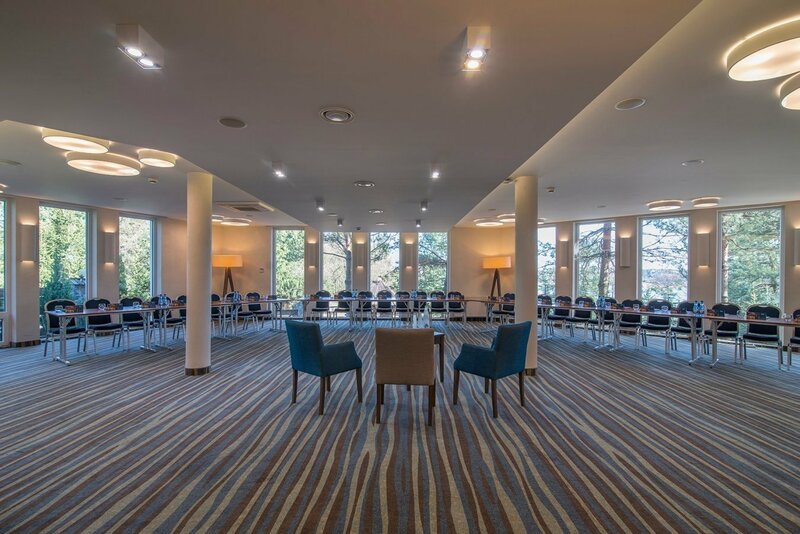 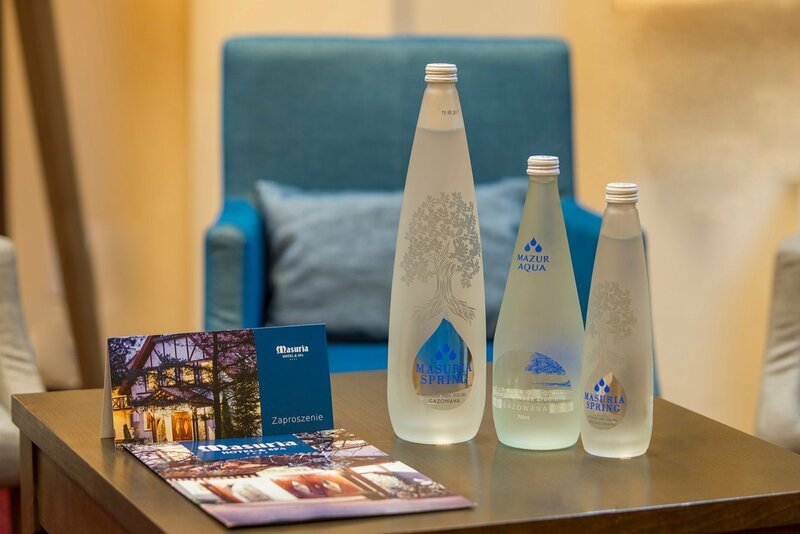 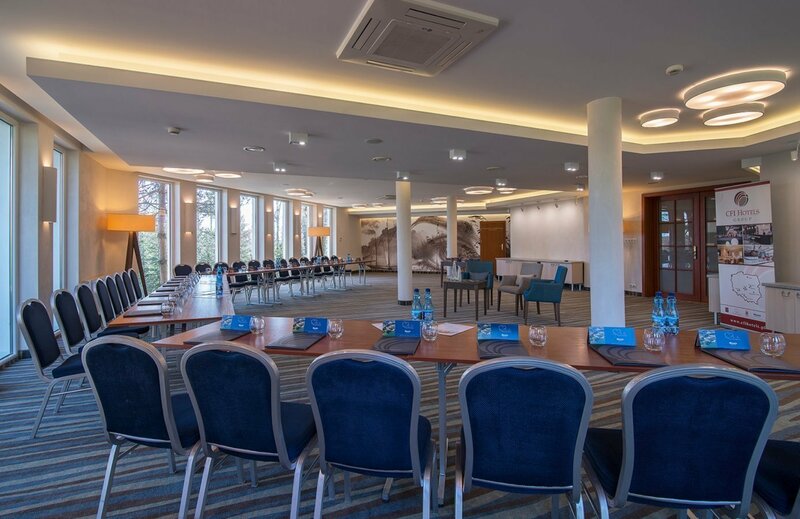 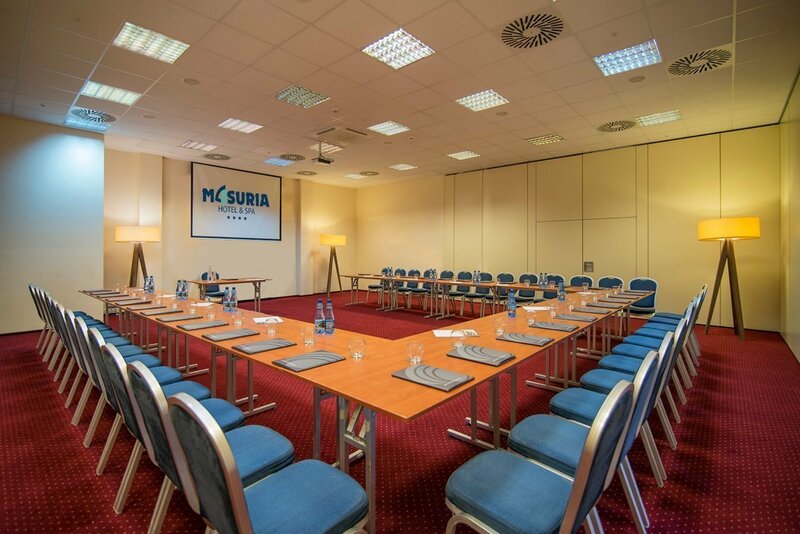 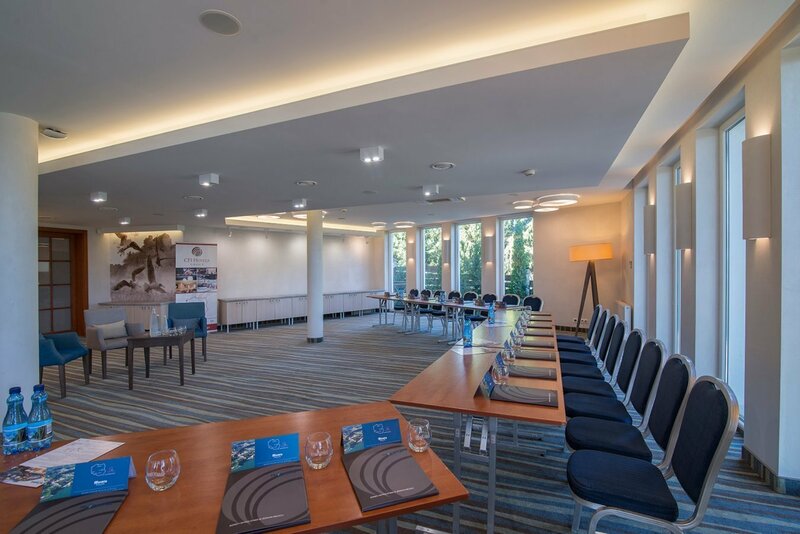 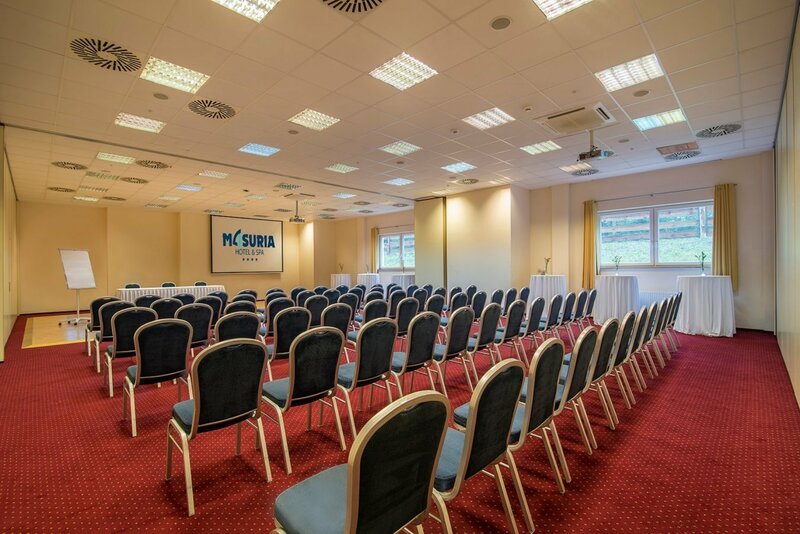 The largest Masuria Room can serve both conference and banquet functions. 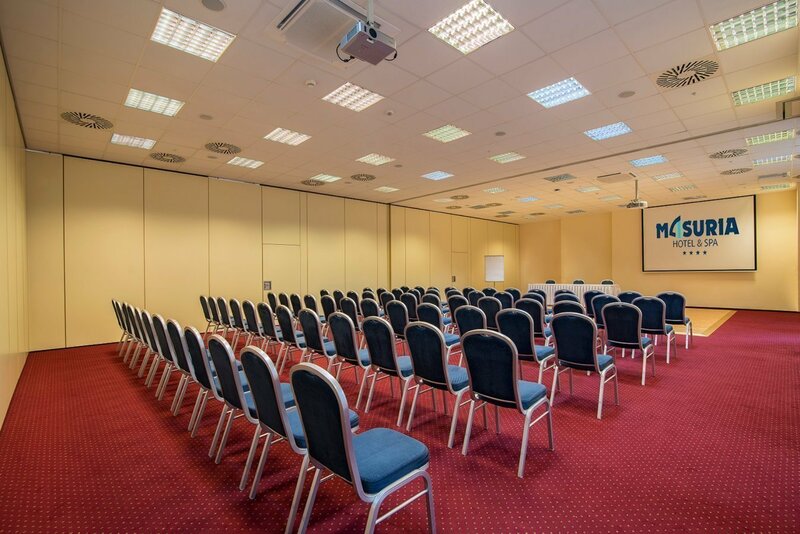 It is possible to divide the room into three smaller rooms. 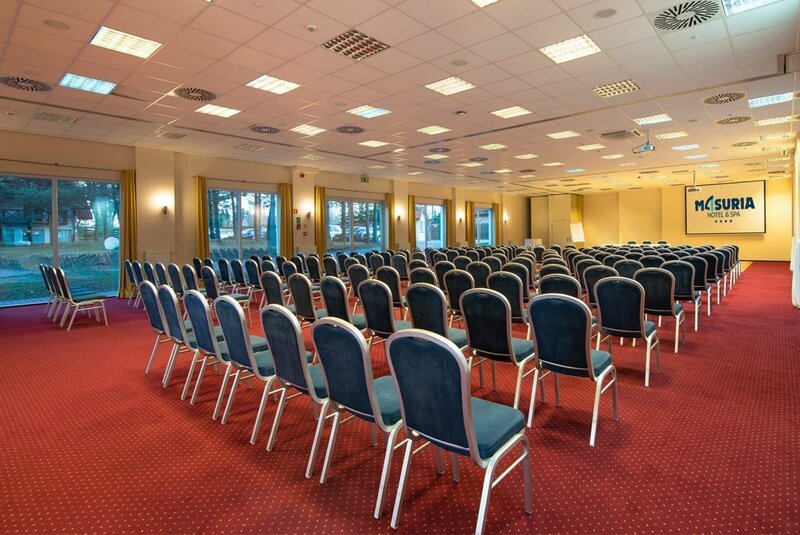 The theatrical arrangement will accommodate up to 250 guests, and in the banquet arrangement - up to 200 people. 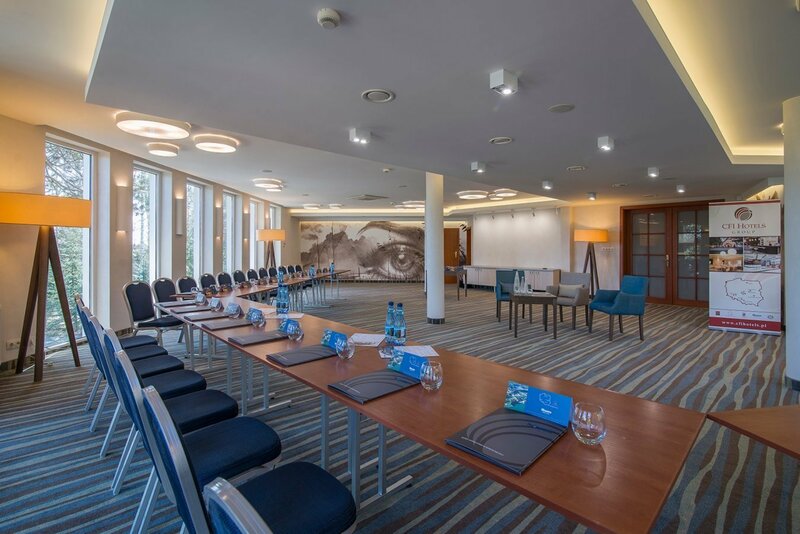 Isąg Room with a beautiful view of the lake is adapted to the needs of groups of up to 110 people in a theater arrangement. 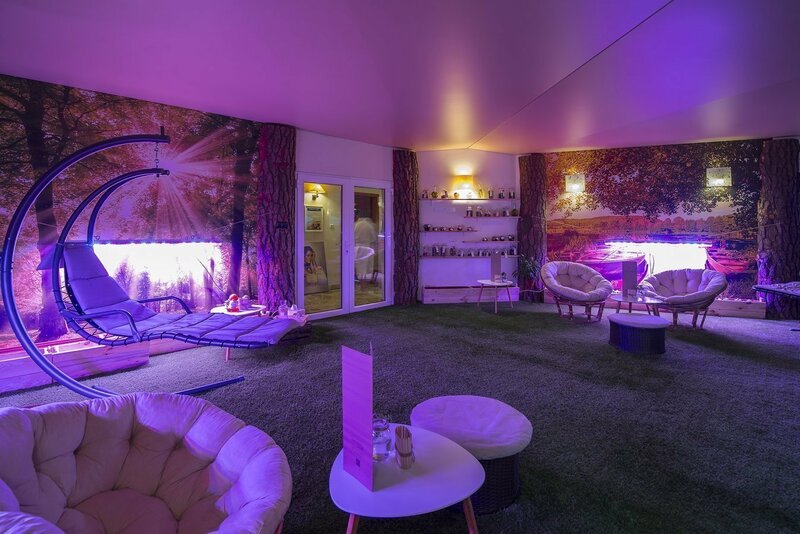 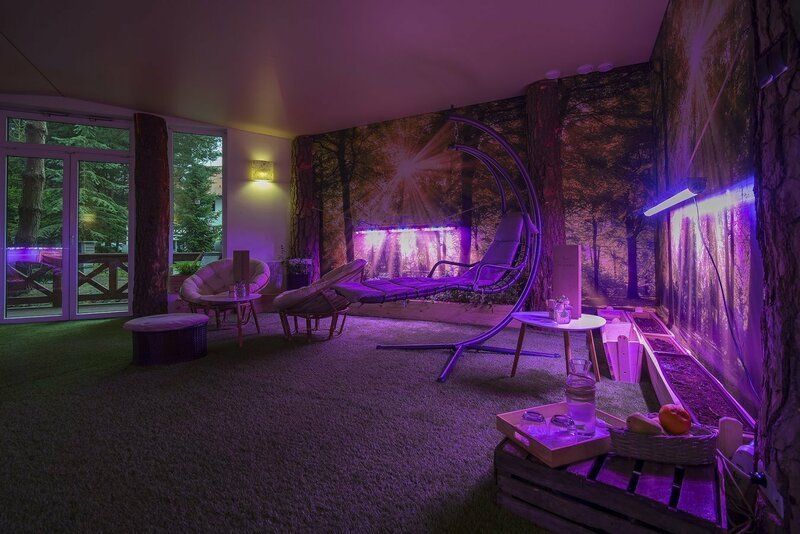 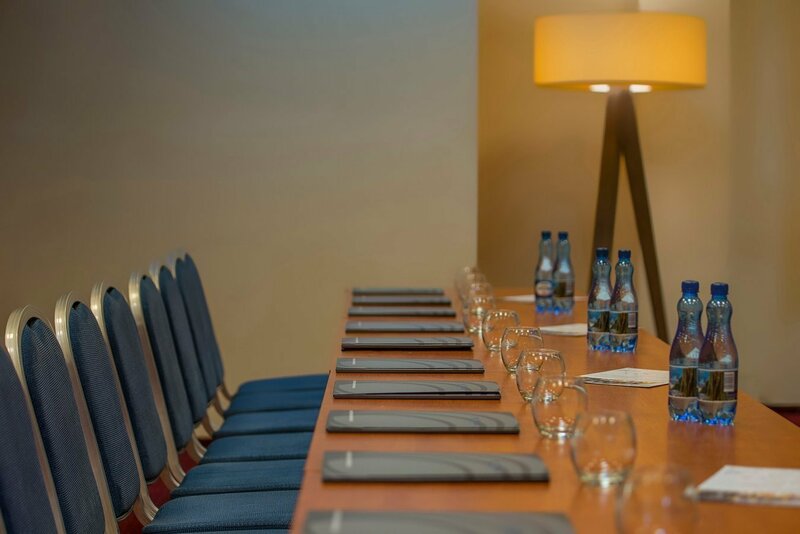 The hotel also includes an intimate VIP room ready to accommodate a maximum of 30 people. 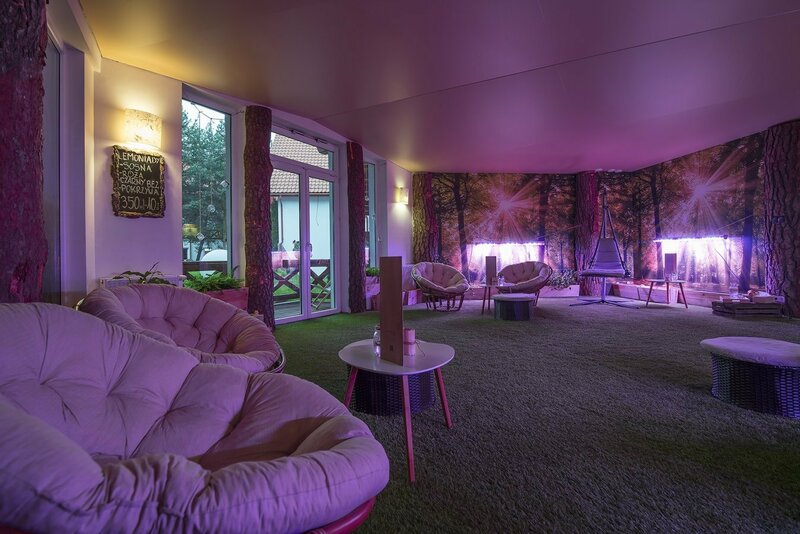 We may host a similar number of guests in the Mazury Teahouse. 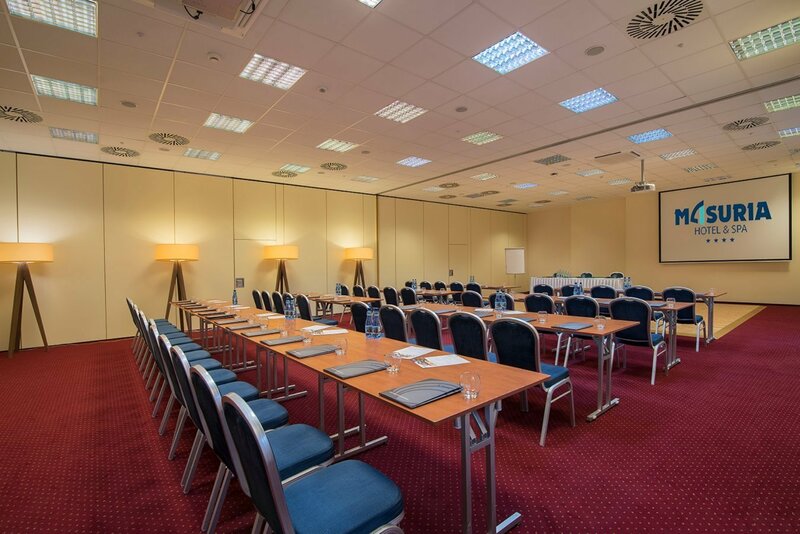 All rooms are equipped with air conditioning, sound system, Wi-Fi, projector, screen, and flipchart. 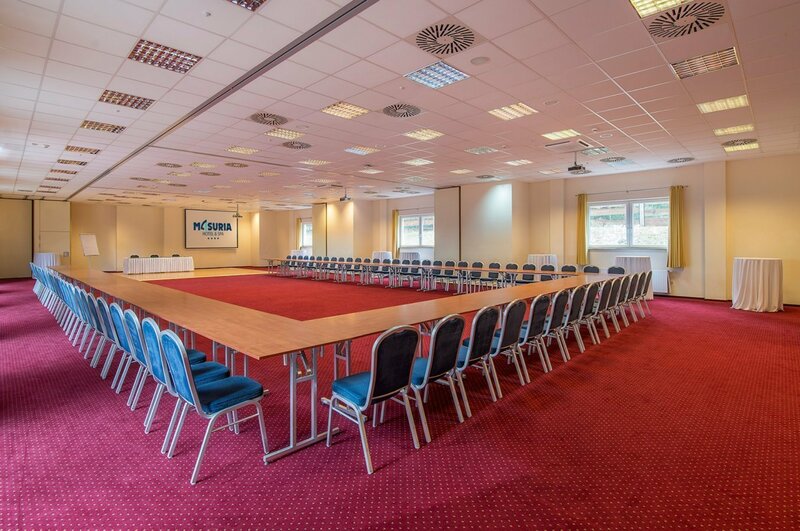 The largest conference and banquet room of the total area of 330m2. 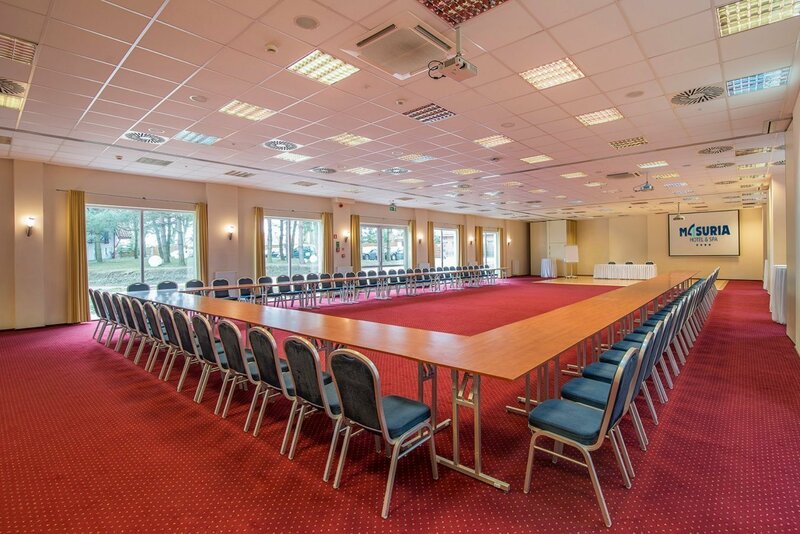 It may be divided into 3 smaller modules: Mazury, Warmia, and Psłęka. 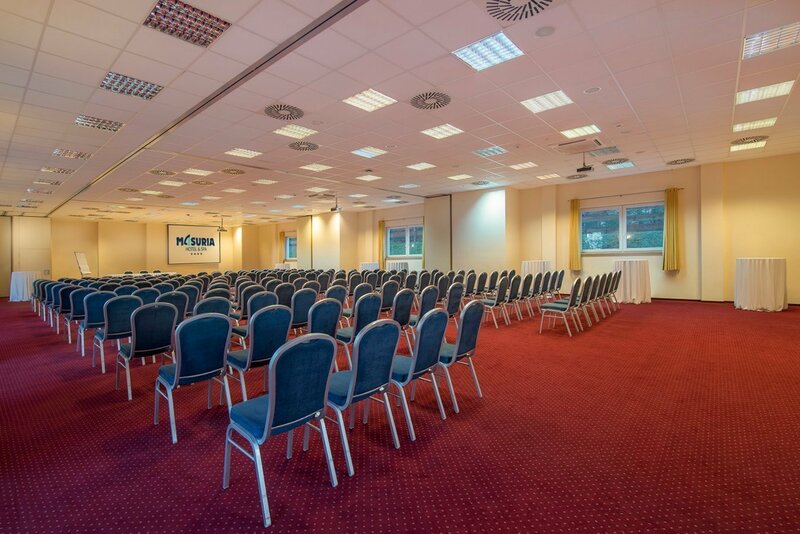 The room enables a car or van entry. 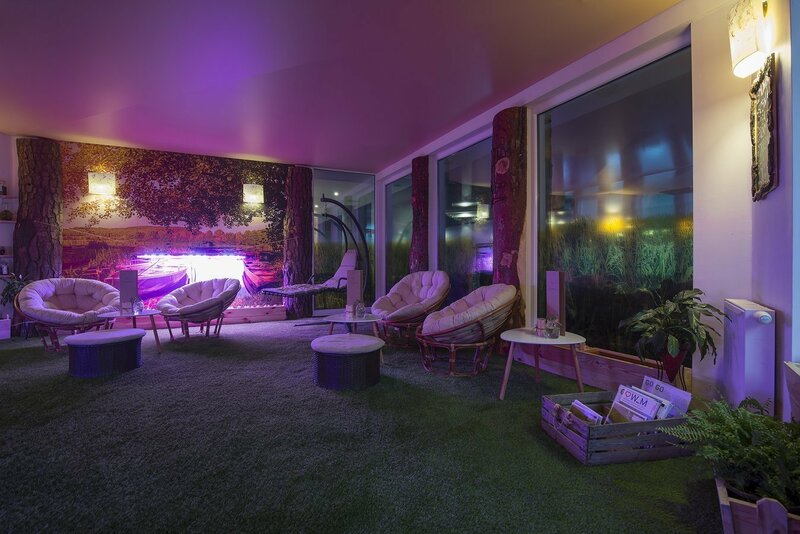 150m2 of space with a beautiful lake view. 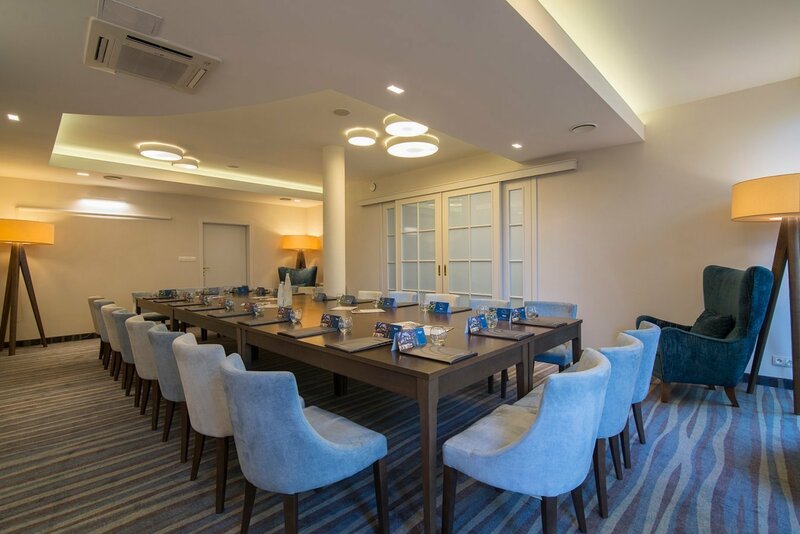 It accommodates 110 guests in theatre arrangement, 50 guests in classroom arrangement, 40 guests in a boardroom arrangement, 40 guests in U-shape arrangement, 70 guests in banquet arrangement, and 80 guests in cocktail arrangement. 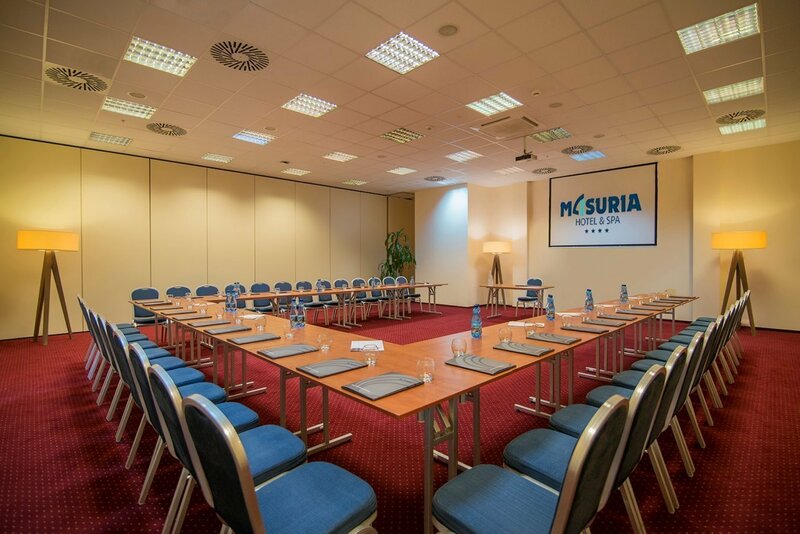 Cozy conference room of the area of 45m2, suitable for group meetings of up to 30 participants or as a VIP room for business talks. 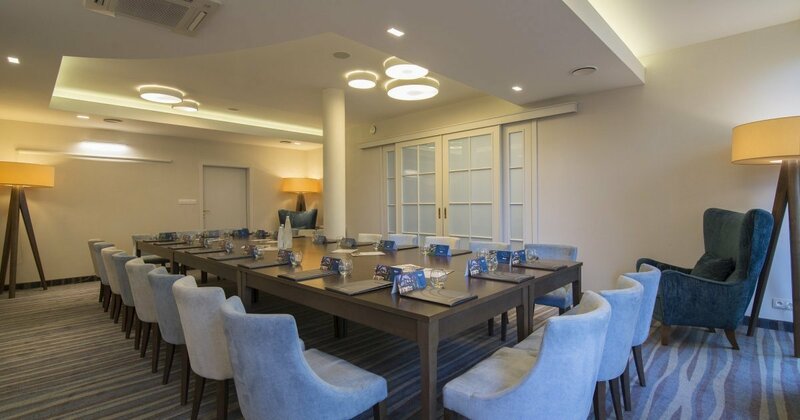 It accommodates 30 guests in a theatre arrangement. 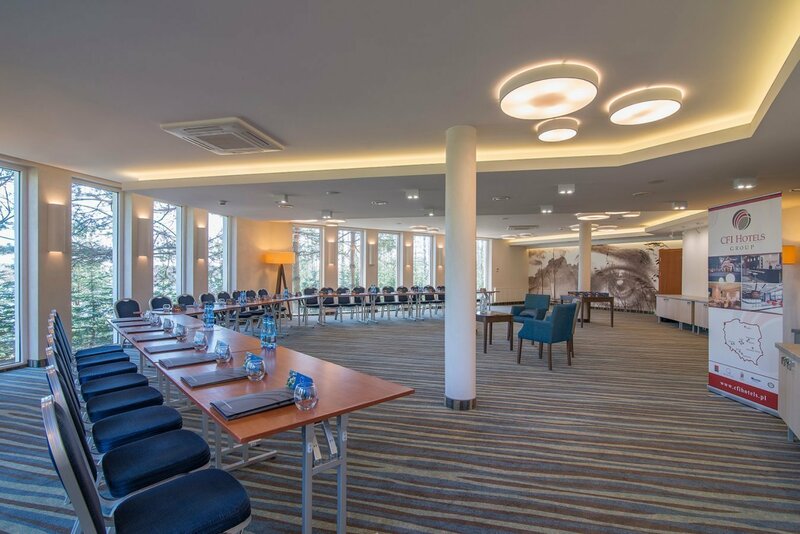 It is a perfect place for meetings. 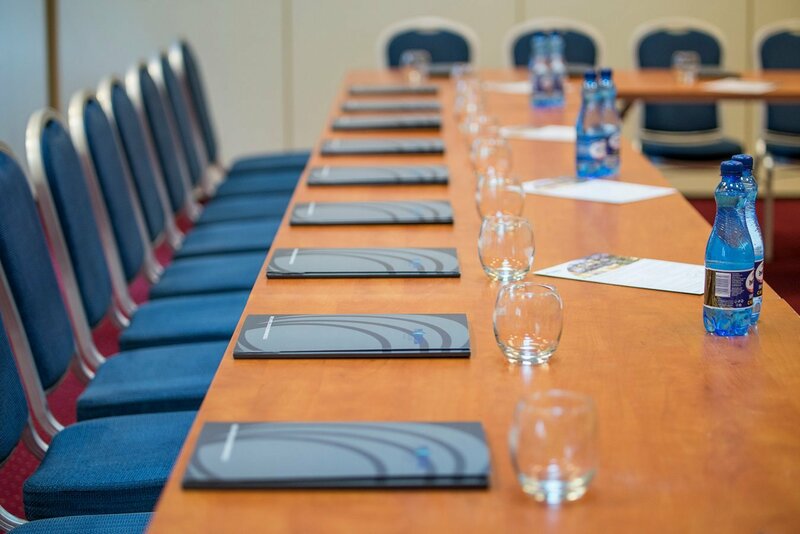 If you would like to organize a meeting or a conference at the hotel write to us or call us.